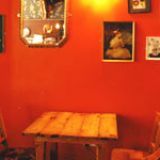 Jam Circus is a beautiful, open pub that is also Brockley's coffee spot, a place rammed on the weekends and Sundays for their gorgeous roasts, free wi-fi, and live music. Do you work at Jam Circus? What did you think of Jam Circus? Visited Jam Circus for some lunch, purely on the basis of its odd name. I was really suprised by such a nice pub, with really friendly staff and a lovely atmosphere. The food we ordered took a little while coming and when it did it was okay - kind of what you expect from a place like this. Overall I think Jam Circus is an excellent place to visit but I wouldn't necessarily go there purely for the food. After being recommended Jam Circus a few times by various friends, we decided to pop down yesterday night. There was a great band on from 9ish which we listened to after having fantastic sausage and mash and a couple of different starters. Staff were lovely, nice to see a team behind the bar having fun whilst also working hard - rare to see so many smiles on such a busy night. They have lots of live music coming up and were really excited about the new children's activity workshops on Fridays. A perfect idea for this yummy mummy area, we'll definitely be recommending to our pals with little ones. All in all a lovely evening, good food at (fairly) reasonable prices and a near spot on atmosphere, I say this because I'm pretty fussy with my music taste and theirs was quite... eclectic! What a wonderful atmosphere in this little Brockley venue. I have been going for a few months now and have had a great time on all occasions. Just wanted to say thanks for a wicked new year as well, was so nice to go out somewhere and have a dance, and not have to wait for any sort of transport home - well within stumbling distance. Thanks all at Jam Circus. Love this place. A real hidden gem. If you go on live mic night there is a great atmosphere. Staff are always friendly and the drinks and cocktails are very good. One thing there isnt many food options. They could do with more choice. And its a little dindgy at the far back left side. If these things were changed this place would be a 5/5. I would totally recommend going here for drinks. Went to Jam Circus today for Sunday lunch. 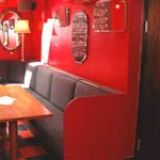 The place is very spacious, with interesting, eclectic decor that's not overdone or pretentious but isn't your average off-the-shelf pub kit. The staff were really friendly and the food arrived promptly. I had the beef and the lady had the lamb. Good-sized portions, tasty meat and great veg. Would have loved some pud but there was no way we could squeeze it in. All in all, a really nice pub with a friendly, chilled atmosphere: couches, tables, outside tables, board games and papers too. Def worth a visit for your Sunday roast! Been meaning to go to Jam Circus for months and last night we finally decided it was the time. Looked promising from the outside and on entry seemed buzzing and pleasant. We were lucky enough to find a seat in the corner, although it was near the steps to the back room we realised that these seats were the seat equivalent of the M1 and if we got bumped into once we got bumped into 70 times plus, not to mention the spilled beers etc!! Not a great selection of wines, but still not too bad, I ordered a bottle and asked if we could get some Olives, these only come with Hummus and Pitta Bread, fine, ordered some. Came up very quickly! Now I've tried houmous all the world over, but there was something very very odd about this one, it had a very odd smell to it, not the usual houmous smell that you'd expect. One bite of my houmous laden pitta bread and that was enough for me to spit it out. My companion for the evening had already decided that this was not the kind of houmous that he was used to either so it sat untouched on the plate. Now to the Olives, edible, flavourful, but had the texture of mashed bananas, how wrong can Olives get? Music! Too loud, it was impossible to hear my friend opposite me and we spent the rest of the evening having to lean across the uneaten houmous to hear each other speak, we decided to finish the bottle of wine and head home. Jam Circus was one of those "must do sometime" to "done that, won't be back anytime soon, if at all". If you can get Hummus and Olives right, then I don't hold up much for the food. Besides it was just too loud to have a nice evening. In JC's favour though, they did give us the money back on the houmous, so maybe we could have popped across to the Co-Op and bought a tub to eat with the Pitta. Shame as it looked promising and Brockley does lack places. 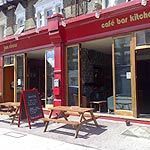 This gastro bar for the Brockley neighbourhood caters for all characters and all occasions the whole year round. 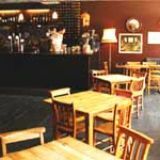 It has a similar shabby chic aesthetic to other Antic pubs, which adds to the cosy and chilled south east London vibe. Soft lighting, ambient music and a collection of vintage paintings set the relaxed vibe at Jam Circus. The few picnic benches outside for the smokers - or those lucky enough to visit on a sunny day - are all inhabited, even on a chilly autumn weeknight. Once inside, you feel immediately welcome in this neighbourhood gastro bar. Seating is split across two levels; the largest area surrounds the bar and has large arm chairs in the windows and a particularly cosy corner seat adjacent to the open coal fire. The rest of this area is filled with wooden tables and chairs and a few tall stools line the bar. The second area is up a couple of stairs out beyond the bar – built-in loungers make it feel a little more like a diner than a bar, but you’d happily drink a few beers here, too. The atmosphere is relaxed, unpretentious and friendly. There is a real mix of customers: some edgy student types - doubtless from nearby Goldsmiths University - a few couples, a large family group and even a friendly dog by the bar. It’s hard to identify who the target demographic is. You’d be happy on a date, drinking with friends or dining with family, and that’s nothing but a triumph. Food is quite a main event at Jam Circus. 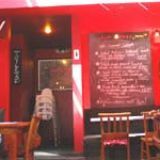 The menu is interesting and has a good selection of dishes, all reasonably priced. Options change regularly and they make a point of trying to use local ingredients where possible. Pop in for a light bite of scrambled free range eggs on toast for just £3.90 (plus £1 with salmon, 50p for bacon, or 50p for mushrooms), or share a whole baked camembert, bread & cranberry sauce (£5.90). For a heartier affair, meat lovers can opt for the 8oz rib-eye steak, potato wedges, pan-fried cherry tomatoes and horseradish sauce (£12.90), or equally delicious vegetarian options are available such as the sweet potato, spinach & chickpea curry, rice & Greek yoghurt (£6.90). There is a really good, quirky selection of drinks available as standard and Jam Circus also makes an effort to promote seasonal specials - in autumn, the Hot Rum is available for £3.90 and would make a perfect drink to sip on while cosying up in one of the large arm chairs. Lager and cider are available on tap and there’s also a good selection of around ten bottled beers. A good mix of spirits are available (£5 a house double) and there’s a comprehensive wine list (from £14.30 a bottle) stocking the shelves. There are also some more unusual finds such as orange and ginger Rekorderlig. A perfect place to cosy up in the colder months, enjoy the liqueur coffees and soak up the chilled south east London vibe. Jam Circus outstrips the local competition by a mile and could easily give more ideally located places a run for their money.